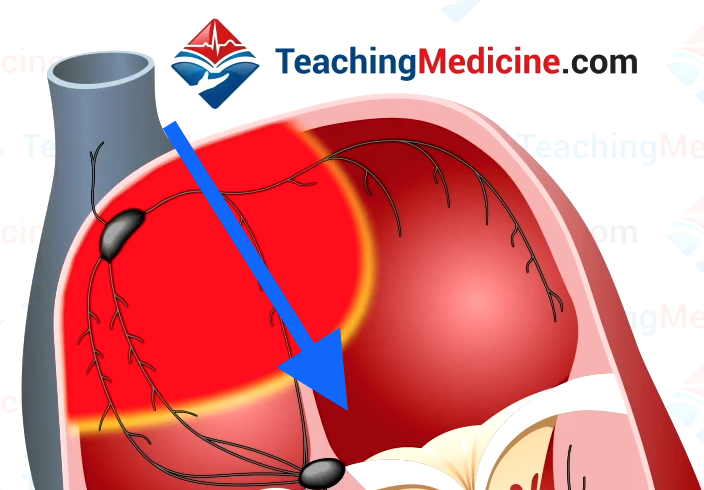 Left atrial enlargement is abbreviated LAE. Leads II and V1 show the P waves the best. Therefore, we will focus on those 2 leads. The SA node is located in the right atrium (RA). 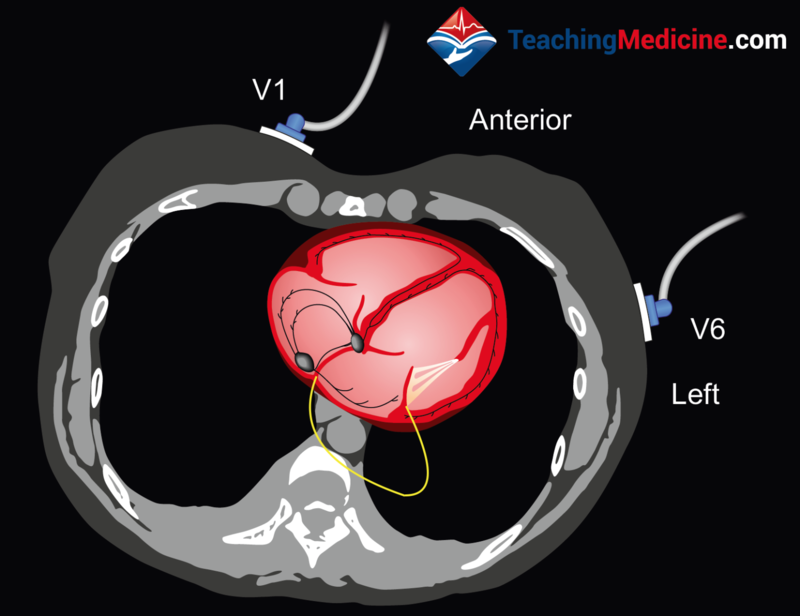 Therefore, atrial depolarization starts in the RA and terminates in the left atrium (LA). 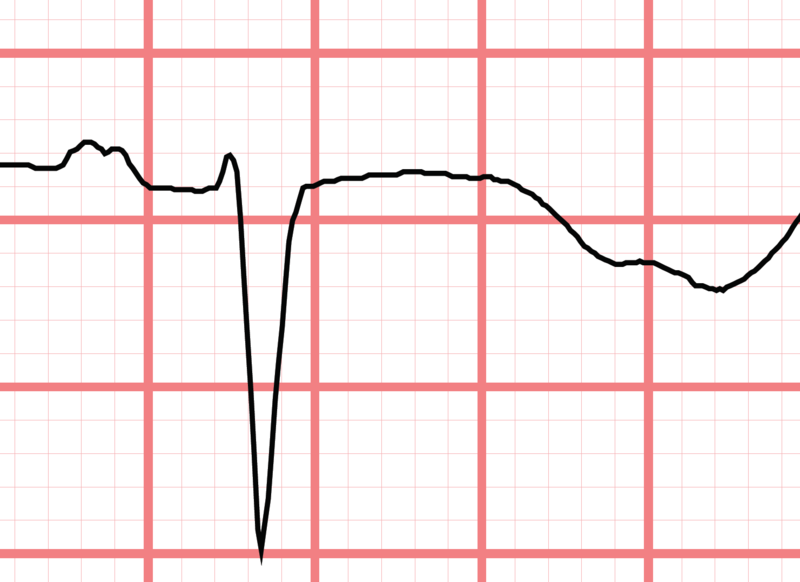 Normally, the RA and LA depolarize virtually at the same time due to fast conduction through the atrial conducting fibers called Bachmann's bundle. However, in diseased states of the left atrium, conduction becomes abnormal and depolarization through the LA is delayed and/or prolonged. 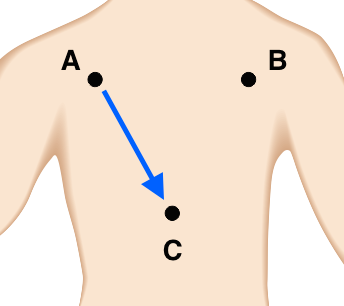 Therefore, in LA disease, the first "half" of the P wave mostly represents the RA and the second "half" represents the LA. 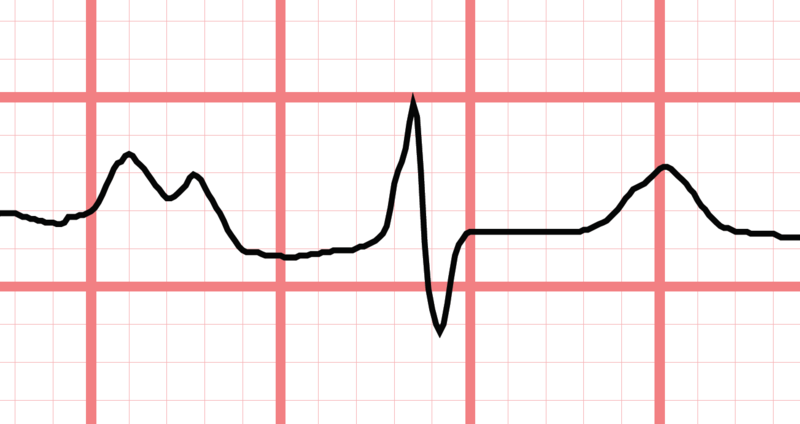 The second half of the P wave is called the terminal portion of the P wave. Although this is not entirely true, it is helpful to think of the P wave this way. 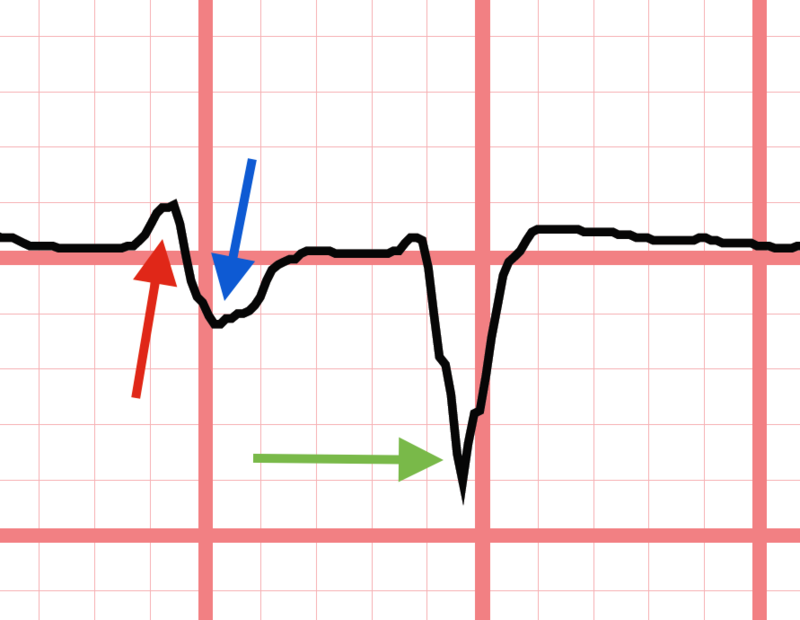 Therefore, with LAE, the P wave in V1 will be initially upgoing for the first portion (red arrow below) and then downgoing in the terminal portion (blue arrow). This is called biphasic. The green arrow points to the QRS. The T wave is not seen in this image. LAE produces a biphasic P wave in V1. 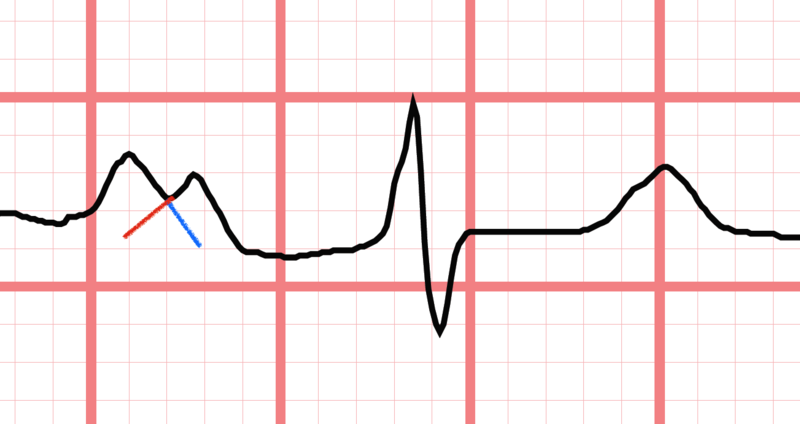 One final detail: the width of the inverted (second) part of the P wave should be at least 40 ms (1 little square) wide. In other words, a very small downward deflection is not significant. Can you see in the above examples that the width of the downgoing part is easily > 1 little square? In lead II, the findings are different. Remember that lead II measures electrical activity in the coronal plane (first image). 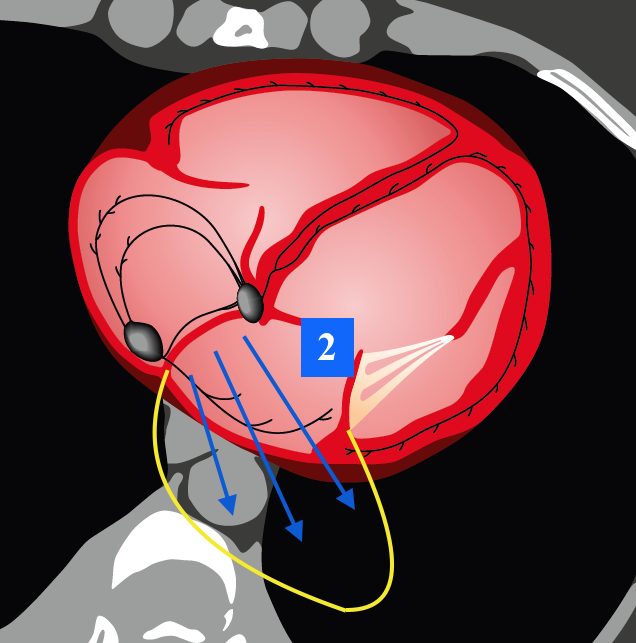 The direction of travel of atrial depolarization is virtually parallel to the lead II (last 2 images). Therefore, P waves show up very well in lead II, but since we are measuring in a different "plane" compared to lead V1, the P wave changes with LAE are different. One more thing: when one atrium is enlarged, it will take more time for the wave of depolarization to travel across both atria. Therefore, another diagnostic feature of LAE is a "wide" P wave, defined as > 120 ms (3 little squares). 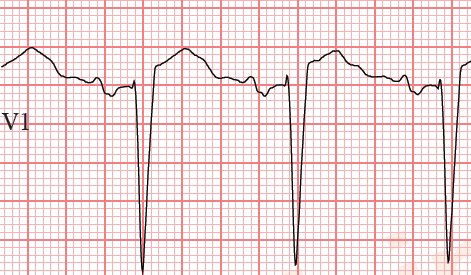 This is easy to remember because it is the same criteria for a wide QRS.